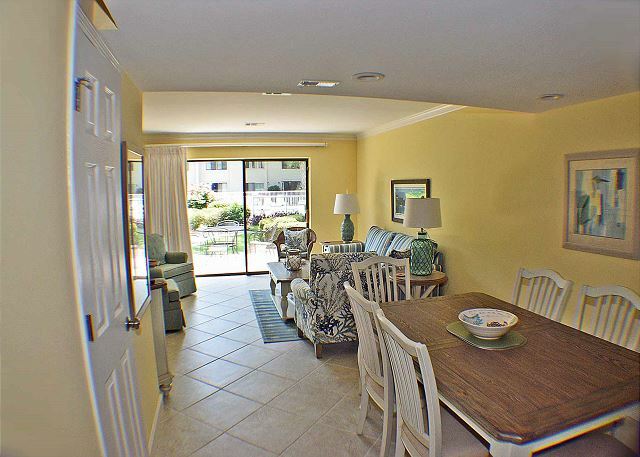 Surf Court 74 is an ocean-oriented complex with first-floor entry. 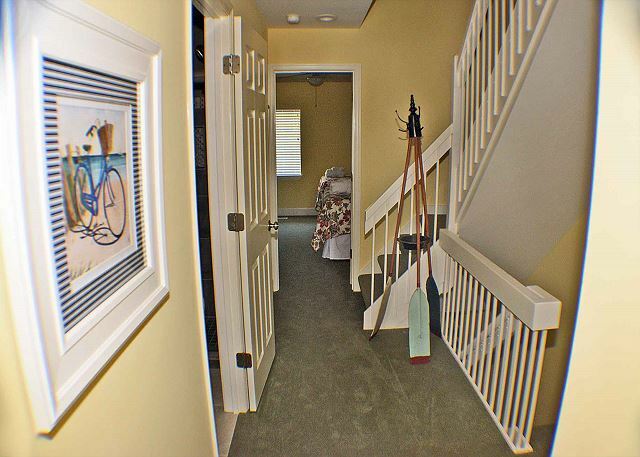 This property is a 3 story townhouse with your living room, dining room, kitchen and half-bath on the ground level. The bedrooms are on the next two levels. 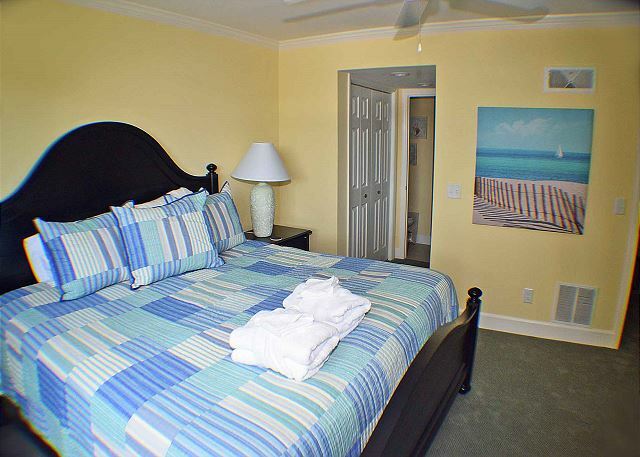 Surf Court is within walking distance to the Atlantic Ocean and the Van Der Meer tennis center. The living room opens up to a ground level patio that will lead you to the beautifully landscaped courtyard and large swimming pool. King in the master bedroom, two twins in bedroom 2, two twins in bedroom 3, plus a sofa bed. 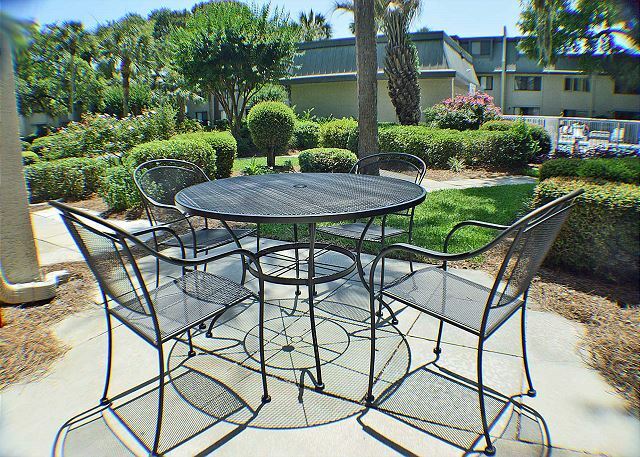 Surf Court is within 3 blocks of Coligny Plaza which feature many options for restaurants and dining. 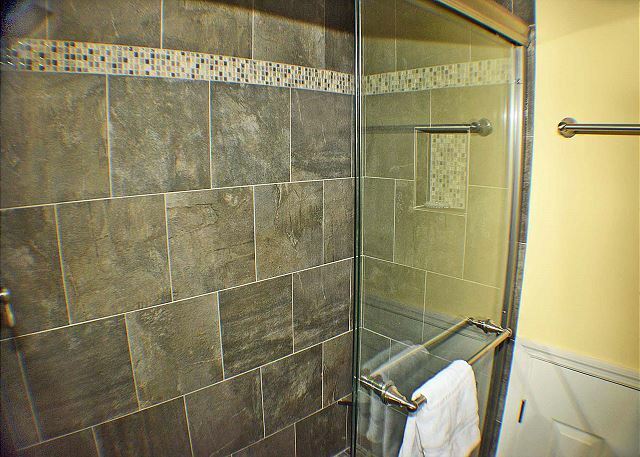 The townhome is being completely renovated now with new kitchen, baths, and furniture. 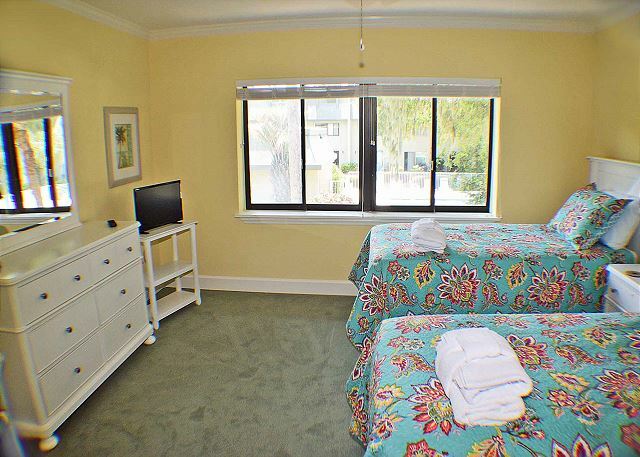 Surf Court 74 has a walk-in master bath shower, 4 Flat Screen TV's and Wireless Internet. Everything was excellent. Above expectations. I hope this review makes it back to the owners of the villa. We vacationed in HH every summer in the late 70s through the early 90s. My cousins, siblings, and I were just kids. It was my family and my moms sisters family. These are some of the best memories of my life. Body surfing in the ocean, digging with our feet for sand dollars, building sandcastles, riding my bike on the path to the general store for candy, flipping off the diving board, playing capture the flag in the courtyard . . . Just to name a few. 28 years later, we all came back again, but this time we brought our own kids and my moms other sister and her family. We rented 10 villas for all 42 of us. It was heartwarming, watching all of our kids experience what we experienced so long ago. Thank you for a once in a lifetime vacation and sharing your gorgeous home with us. 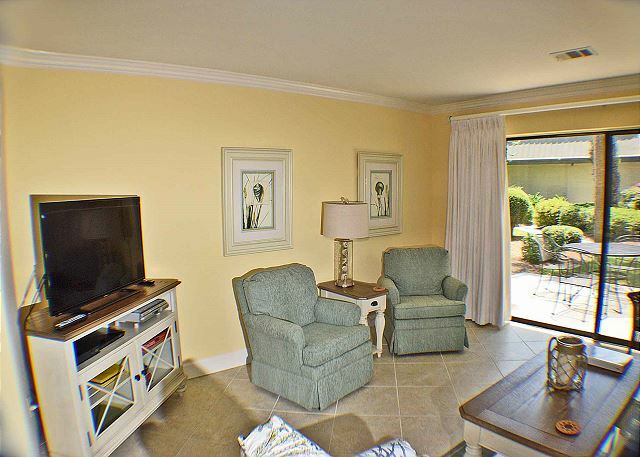 Our unit was absolutely beautiful, perfectly located right by the pool. It was bright and spacious, so comfortable and cozy. Thank you to both Seashore Vacatioms and the owners for giving us a week of magic. The property was exactly as described and well equipped for our stay. We ate most meals in the condo and had everything we needed for preparing them. The beds were comfortable and the rooms all had plenty of storage. If you've never stayed in a 3 story unit before, be prepared for how warm the top level gets. There is a ceiling fan that helped regulate the temperature a little bit but it still stayed pretty warm up there even while the lowest level was quite chilly. It certainly wouldn't be a deal-breaker and we would definitely stay here again. It's just something to be aware of. Overall, this was a great unit and we thoroughly enjoyed it for the week! The condo was clean and close to everything we wanted to do. It fun and relexing. 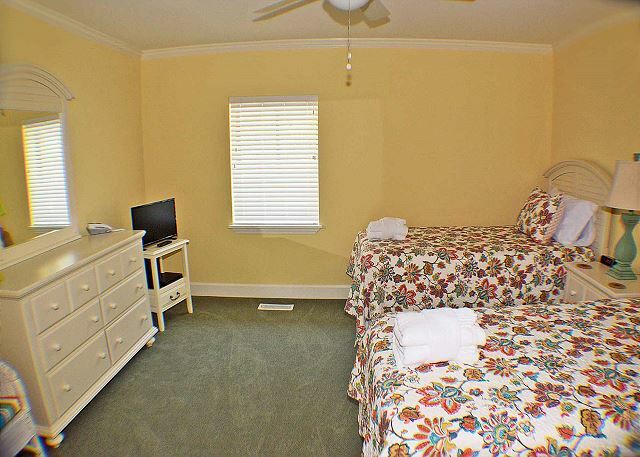 The best rental property ever... Clean big and georgious..
Surf Court has been host to numerous summer vacations for myself and my family. Condo 74 was very clean, cozy and pleasantly decorated. The August weather was unseasonably pleasant and provided the perfect atmosphere for a wonderful week of fellowship with my parents and children. I had no problems. The condo was great and it was in a very good location. Everything I needed was in the area. We've been coming to Surf Court on HHI for years now. It's the perfect location for our family of 8. Close to beach and Coligney. The courtyard pool is awesome. 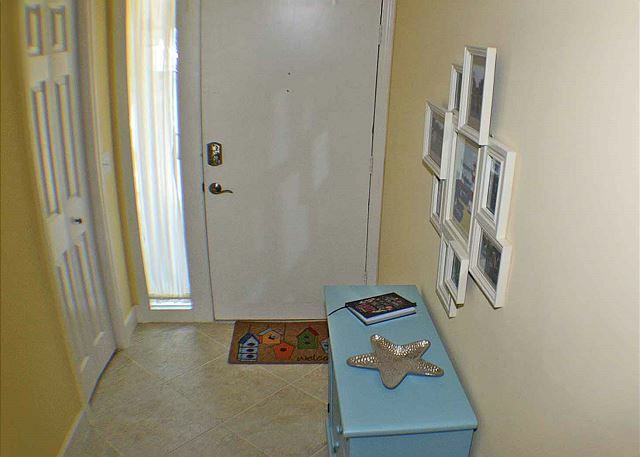 Spacious and updated condo. E will come back. Beautiful Condo! It was decorated very nicely and had updated bathrooms and kitchen. 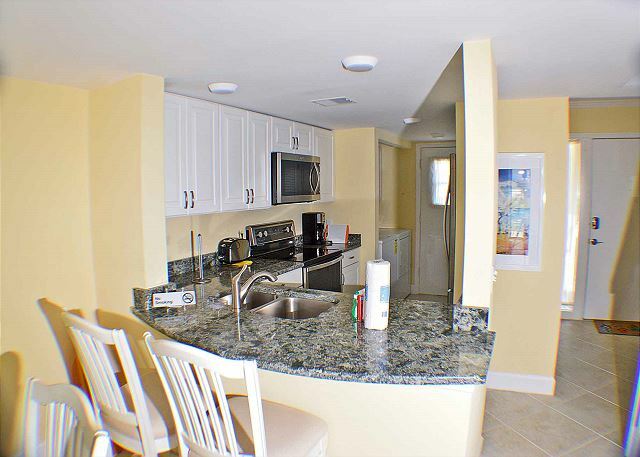 The kitchen could have had a few extra items as we are a cooking family, but overall the condo was wonderful! Last minute getaway weekend turned into a wonderful time with close family. 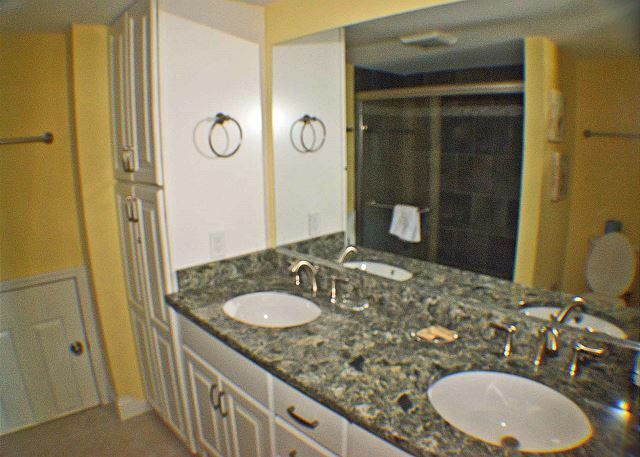 This unit was immaculate and well appointed. 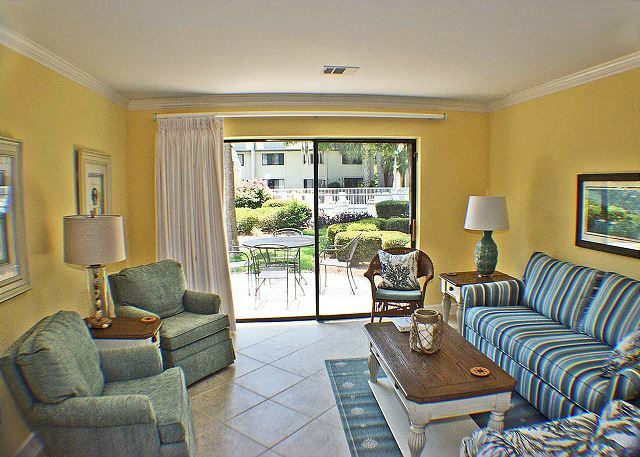 The location is within walking distance to the beach and restaurants. 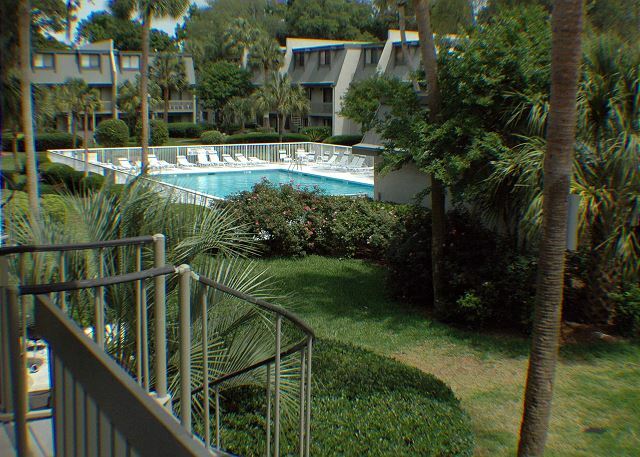 This is a quiet complex with a nice pool. Would recommend renting this unit for families and couples. We loved this beach home! 2 adults and 4 small kids and we had plenty of room. The only reason I gave it a 4 instead of 5 stars is because the kitchen was lacking a few things we normally find in vacation rentals (salt & pepper, cooking spray oil, more than one roll of paper towel, etc...). But this is no reason to not rent this place. It's a beautiful home in a perfect location. 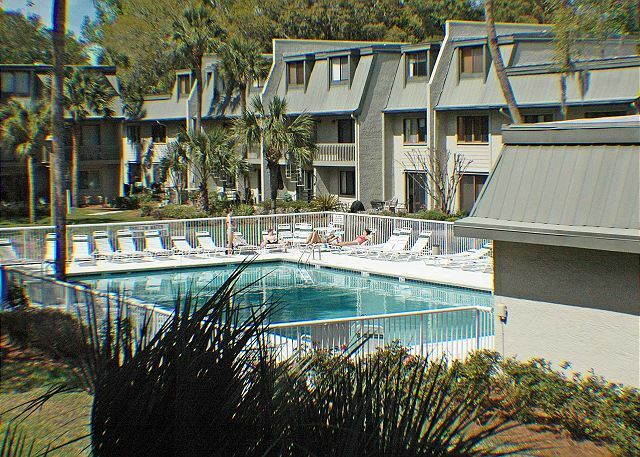 Walking or biking to Coligny plaza every day was great! 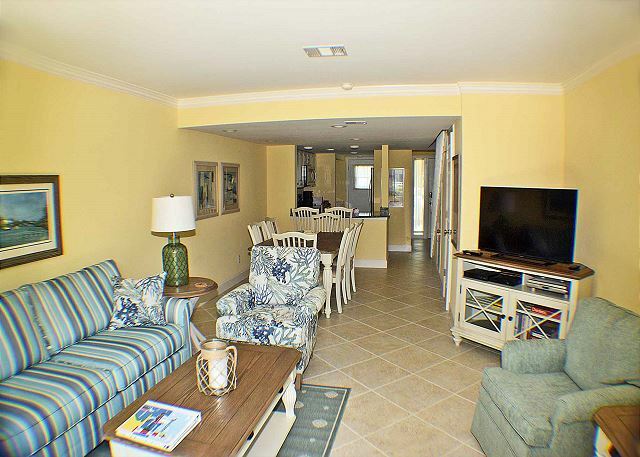 We rented this condo for a 4 night stay with our adult children (4 of us). It was perfect for us and would have easily slept many more people. 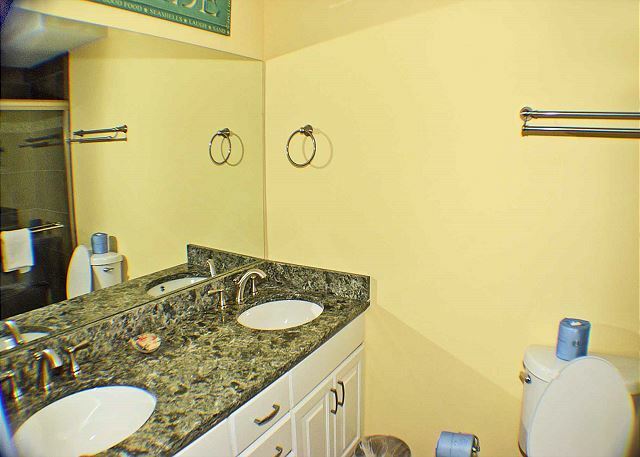 The condo was completely updated with all new fixtures. The beach was about a 5 - 10 minute walk. The complex pool was a nice substitute. FYI, I had read some previous reviews that indicated there were beach supplies but this was not the case. The location was great, near so many restaurants and stores. This rental was remarkably clean, spacious and well appointed. Exceeded expectations that we had for a rental. We would come back in a heartbeat. We needed a beach getaway and this property met all our expectations. .location, coziness, and enjoyment. We'll be back..Great proximity to pool! Nice stay on Hilton Head. The place was brightly and cheerfully decorated. We found everything we needed to cook a small Thanksgiving dinner there. Bathrooms and kitchen were modern and the place overall was clean. A quick walk to the beach was convenient. 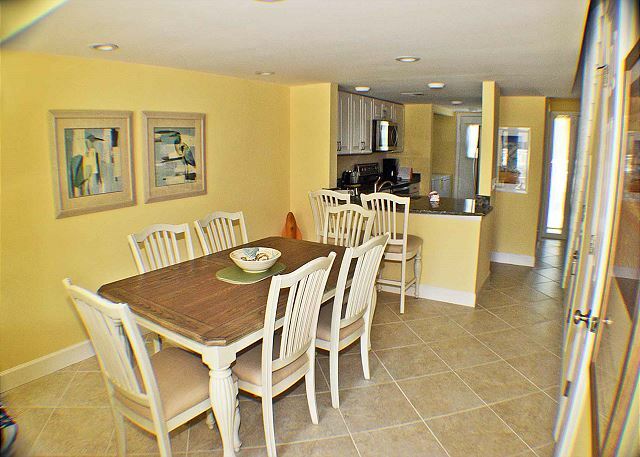 This townhouse was in a great location, close to restaurants, shops, and the beach. Easy drive to many golf courses in the area. It was clean, and the kitchen was well equipped with everything we needed. It was missing a blow dryer, but this was provided promptly. Our family had a great vacation, this house is great and had everything we need for the vacation including beach chairs. It was close to the shore, so we were able to spent most of our time at the beach. This was our first time to HHI and what a treat it was. From the time we arrived on the island to our destination we could tell we were going to have a great family vacation. 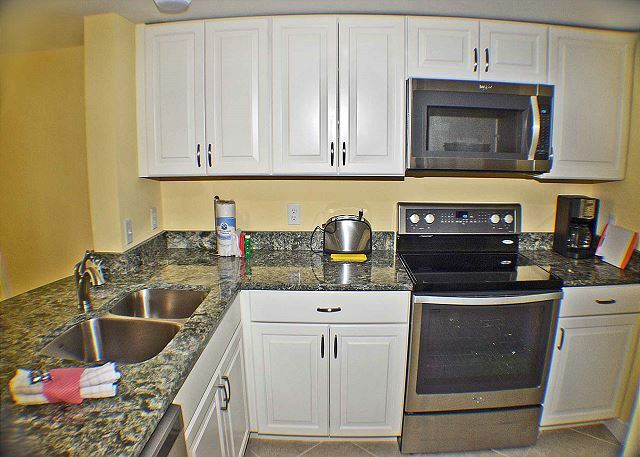 The staff at Seashore Vacations was so helpful in choosing the right condo for our needs and provided great follow-up with e-mails to provide easy check in and keeping us updated. The condo had been recently renovated and the owners did a fabulous job with the dcor and provided a clean, relaxing and up to date condo. My husband usually does not give a rating of 5 but he gave this condo a 6. Location was great. 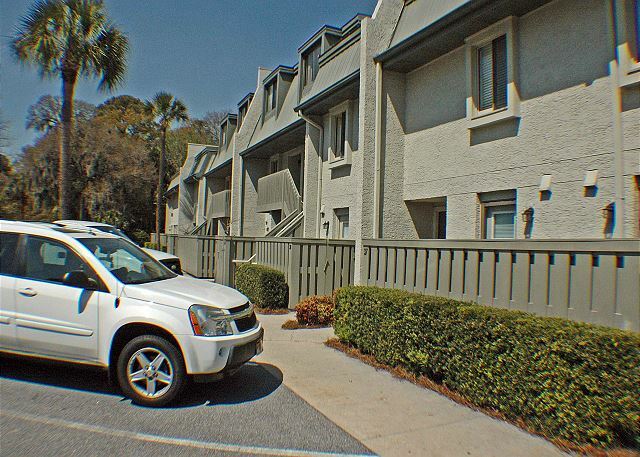 One block from beach, two blocks from Coligny. Also, the owners provided a handy notebook with their favorite restaurants listed and we ate at several of those restaurants. Well done! HHI is beautiful everywhere you look. 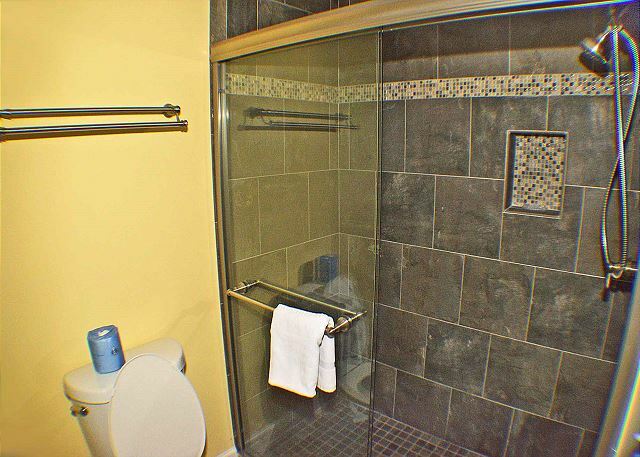 Great property in convenient location! We stayed at Surf Court 74 in July 2015. 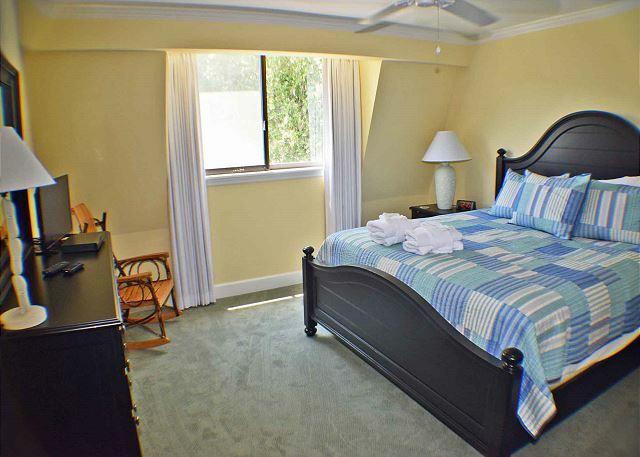 The property was recently renovated and in great condition. 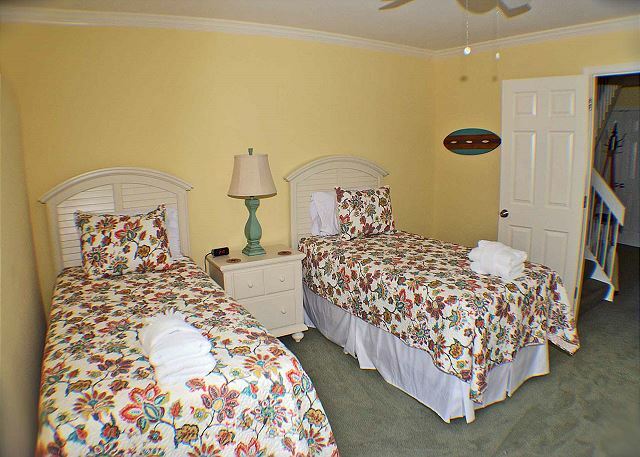 The location (just across the street from the beach and near Coligny Plaza) was ideal for our vacation. The rental company (Seashore Vacations Inc) was very professional and easy to deal with.